Connecticut is full of architectural gems, and thanks to Airbnb, we can peek into them. 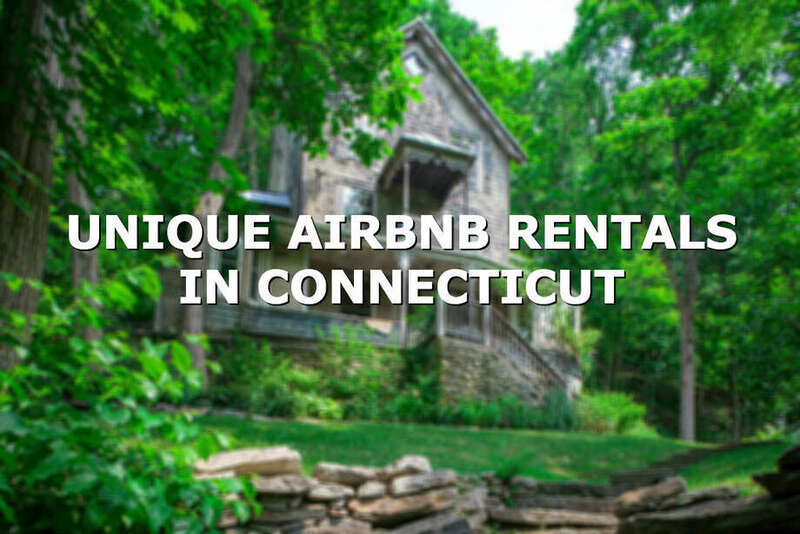 Click through the slideshow above to see some unique Airbnb rentals in Connecticut. In New Milford, a stone cabin on Candlewood Lake looks like somewhere you might find the seven dwarfs. "The 'gemutlich' ambiance of an original 30s lake house with its fieldstone walls, pine shiplap paneling, vaulted ceilings, wood-burning fireplace, and period antiques is what makes this house so charming. Flooded with natural light, with lake or lush green forest seen from every room, this is the perfect place to relax and enjoy the feeling of home," the listing writes. In Ellington, you can stay in an actual castle. "Our castle was built in 1917 on seven acres by a prosperous Ellington family whose trip to England had inspired the fulfillment of a childhood dream to own a castle. In early 2000, a brilliant artist purchased the castle and dedicated five years to refurbishing and beautifying it. The kitchen is modern with new appliances, the dishwasher having been replaced last year. Downstairs there is a large dining room, a living room with a fireplace, and an inside porch guarded by a medieval knight," the listing writes. The bedrooms have themes including "Jungle Book" and "Romeo and Juliet."